Jeff Falls is a delightful set of several small pools. Water quality is usually top notch here, and the geology of the rocks around the falls is interesting, with several potholes being clearly evident. Some privacy is possible on some days. There is only enough room for 4 or 5 people here; any more than that and the place will seem crowded. 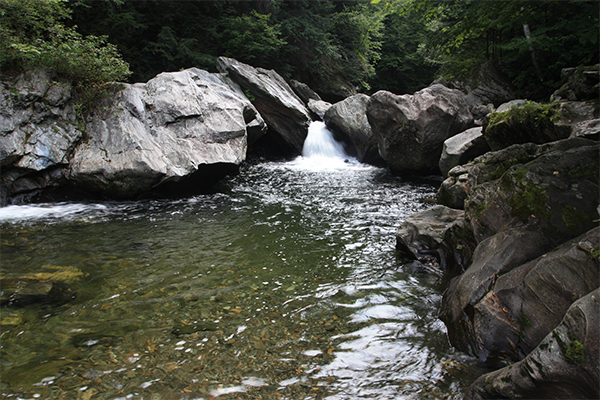 There is a gorgeous pool suitable for two above the falls that is about 4-to-6 feet deep. The primary pool, which is the deepest one here, is below the falls. There is a small current to contend with in this pool, so high water conditions may bring unsafe swimming conditions. This wonderful little spot is private property, but public access is currently allowed. 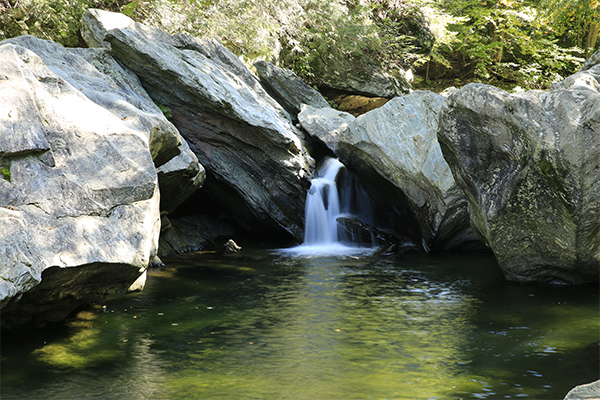 Visitors are expected to clean up their trash and leave no trace; this is more than a fair trade, so please try to comply so that visitors can continue to enjoy Jeff Falls. 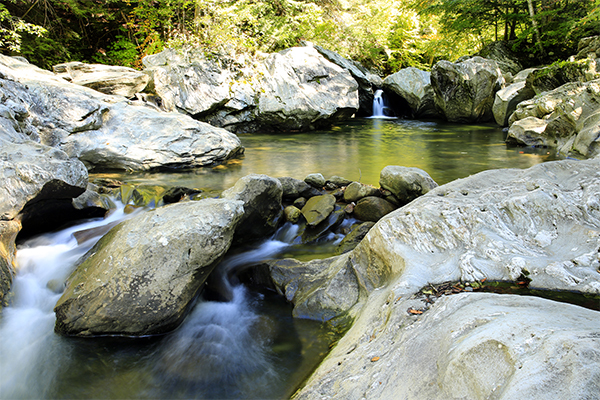 To find the falls and swimming hole, follow the obvious trail that stems from the parking area into the woods heading upstream. The falls are reached after only 250 feet. You will want to take some caution as you get closer, as the trail has a few slippery spots that could cause you to slide down into the river on your left. From the junction of VT 108 and VT 15 that is slightly northeast of the center of Jeffersonville, take VT 108 south through town for 0.5 mile and there will be a dirt pull-off on your left, large enough for a few cars. The parking area is 0.25 mile south of the very center of Jeffersonville.